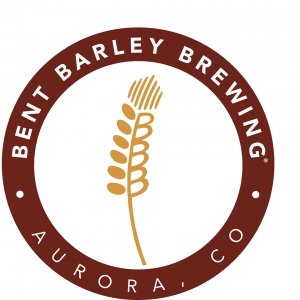 Bent Barley Brewing Company is an idea several years in the making, to provide quality beers to the Southeast Aurora area. Started by two friends and coworkers, Mark Job and Paul Dampier, who share a love of homebrewing, enjoying great beers with friends, and an understanding that not all beer lovers live within walking distance of downtown! As a majority veteran-owned company, Bent Barley is committed to utilizing U.S. made equipment and ingredients, and providing support to our local community and businesses. We are a brewery tasting room, and are therefore focused on producing the best beer possible. As such, although we will have snacks available, we are not a restaurant. We encourage you to visit any of the several dozen nearby restaurants within the Southlands Mall and surrounding area. You are always welcome to bring outside food into our tasting room. Additionally, The Wine Experience has a special menu just for us and will deliver right to the taproom. This list includes beers brewed currently, previously, or seasonally by Bent Barley Brewing Company. Contact the brewery for current beer availability.